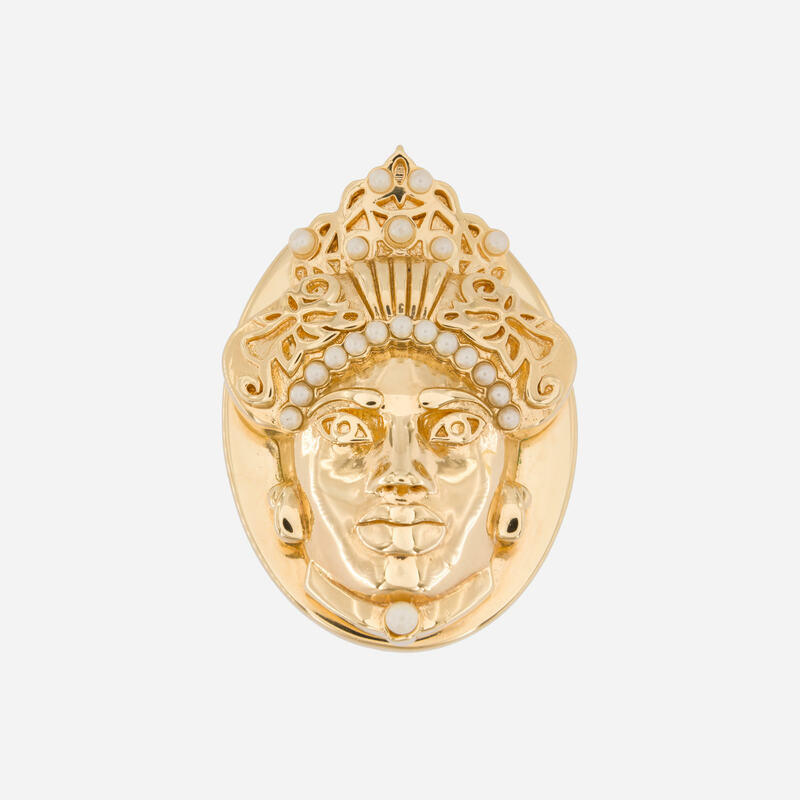 Among the esoteric characters that populate the visionary world of Acchitto, the face of the Hybrid Moor is decorated on the top of the Indian turban by blue daffodils, symbols of vanity and ambiguity, and by an intricate crown with cream crystal pearls. A choker of 90's inspired pearl adorns his neck like that of a nineteenth-century noble woman. 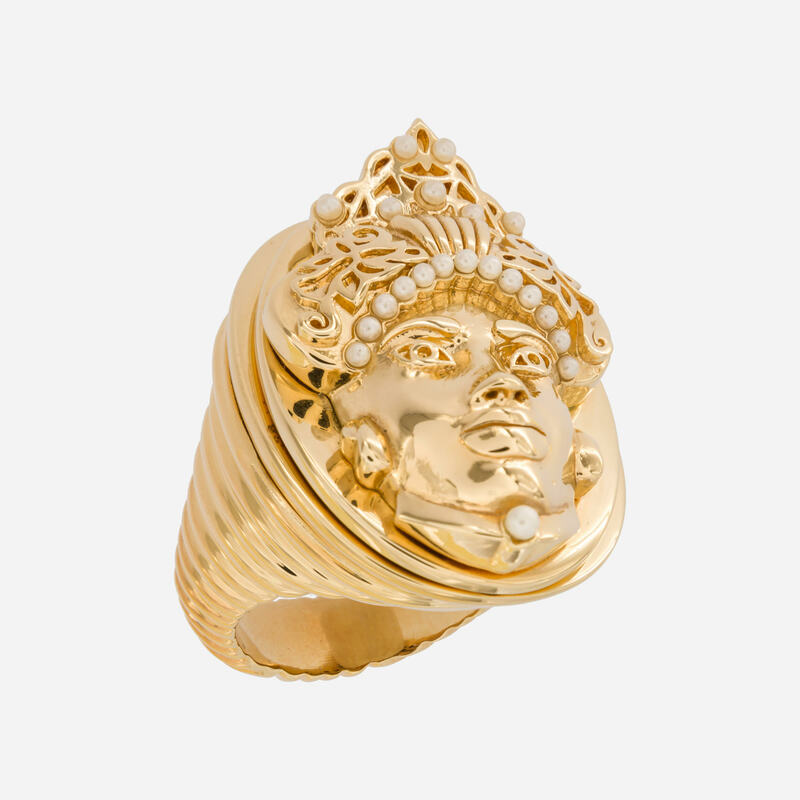 This ring is made of yellow gold-plated bronze, the face is defined by the golden details. 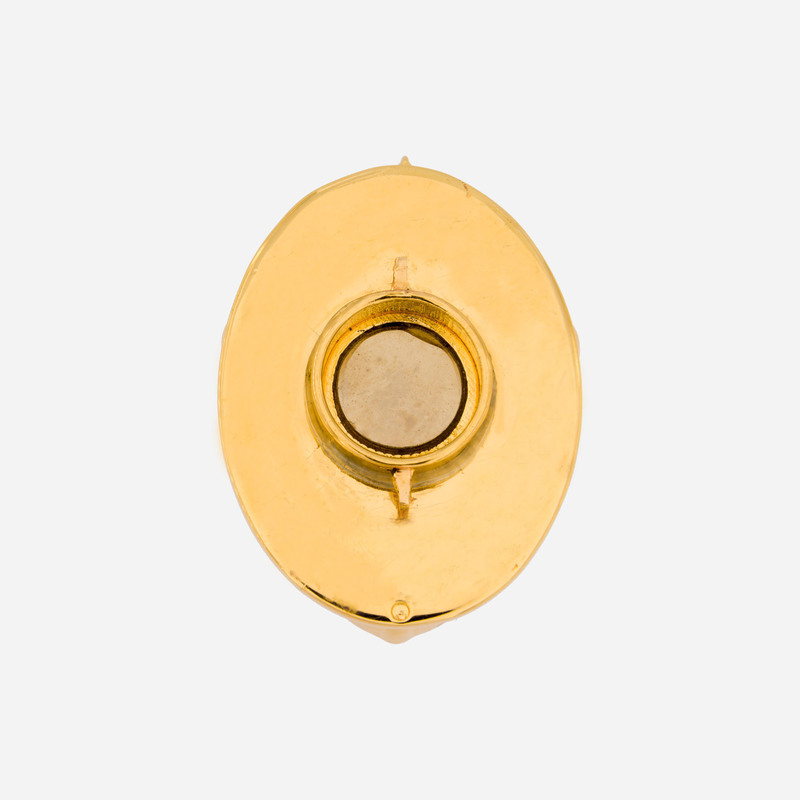 The plaque is equipped with Acchitto patented mechanism of interchangeability that allows the personalization of the jewel making it unique, collectible and trendy. 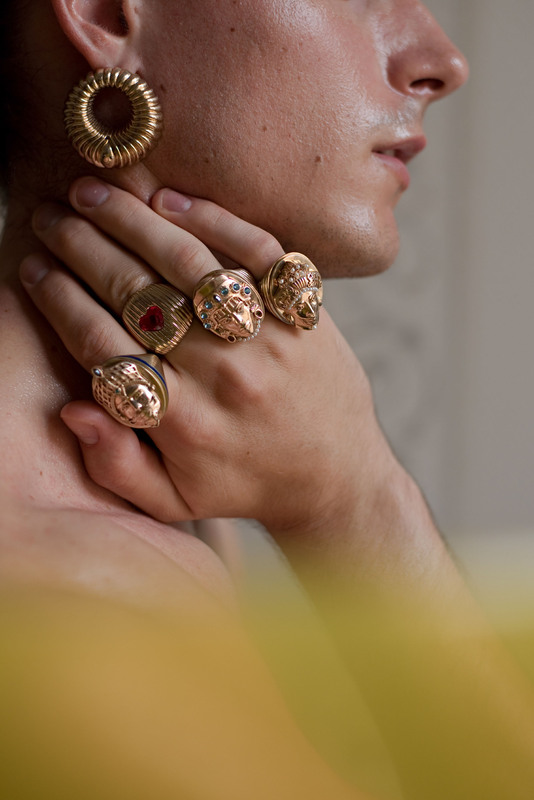 Just what you need to add a bold statement to your outfit.